Whether you're trying to enhance your performance as an athlete or just attempting to lose weight, including some form of strength training into your exercise regime is crucial. 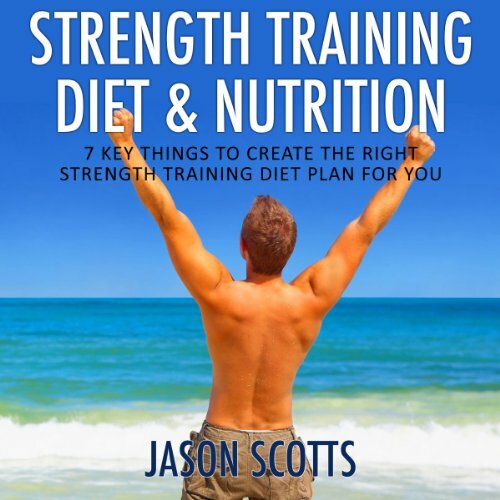 However it's also important you make sure you're following the right sort of strength training diet and nutrition plan to really reap the benefits. If you aren't eating the right kinds of foods then you won't actually make the most of each strength training session you undertake. However if you aren't sure about what you should being eating and drinking then creating the right sort of plan can be difficult. There are a few things you need to consider when putting together your eating plan. Naturally, the book contains some good information. I question however this audio-only format since there are many recipes, lists, etc. that would be way easier to read and refer to later in a physical book. Maybe a PDF supplement could have made this book better.